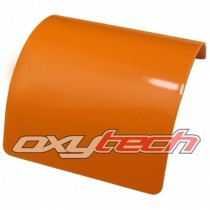 Rich orange, slightly yellow in colour, with a gloss finish. This PR12-based colour is a thermosetting powder coating based on saturated polyester resins specially selected for exterior use. 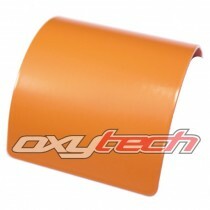 Its very good flow-out and excellent resistance to atmospheric ageing and ultra-violet light make it highly ..
An orange polyester TGIC powder coating with an exclusively brilliant deep metallic effect. The brilliant, wet-look Dormant metallic effect is a two-coat system achieved by using our special, solid Dormant base coat topped with our Oxyplast Crystal Clear top coat for that amazing lustre and depth th..
A deep orange polyester TGIC powder coating with an exclusive brilliant deep metallic effect. Dormant Transparent effect is a two-coat system achieved by using a Dormant Transparent base coat and a Clear top coat. 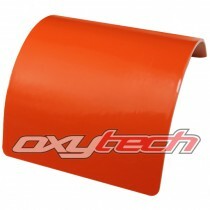 For best results, it is recommended to substantially cure the base coat and then appl..
A brown-red polyester TGIC powder coating with an exclusive brilliant deep metallic effect. Dormant Transparent effect is a two-coat system achieved by using a Dormant Transparent base coat and a Clear top coat. For best results, it is recommended to substantially cure the base coat and then apply ..
A bold red-orange colour with a wrinkle finish. OXYPLAST Wrinkle finish powder coatings are highly decorative ripple-pattern finishes available in any of the OXYPLAST powder types e.g. epoxy, polyester and epoxy-polyester. In certain applications this finish is chosen because of its ability to hide..
A dazzling bright orange with a fluorescent gloss finish. 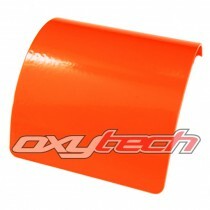 OXYCOLOUR Fluorescent & Neon Powder Coatings provide a high luminescent quality in a TGIC polyester resin system. 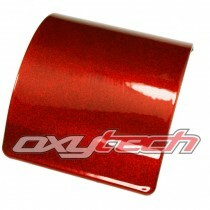 This range of intense, fluorescent powders are formulated to give good flow out and semi-gloss to high gloss finish. *.. Equivalent to Australian Standards (AS2700) colour R11. 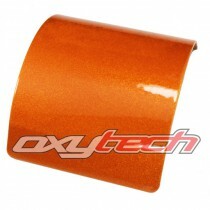 A dark red-orange with a gloss finish. This PR12-based colour is a thermosetting powder coating based on saturated polyester resins specially selected for exterior use. Its very good flow-out and excellent resistance to atmospheric ageing and .. Equivalent to RAL 2000 Colour Standard. 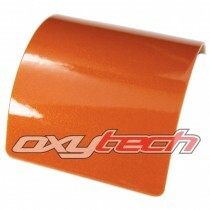 A mid orange-yellow colour with a gloss finish. This PR12-based colour is a thermosetting powder coating based on saturated polyester resins specially selected for exterior use. Its very good flow-out and excellent resistance to atmospheric ageing and ultra-v.. Equivalent to RAL 2009 Colour Standard. 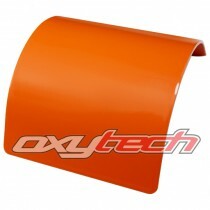 A bold deep orange with a gloss finish. This PR12-based colour is a thermosetting powder coating based on saturated polyester resins specially selected for exterior use. Its very good flow-out and excellent resistance to atmospheric ageing and ultra-violet li..